Video’s taking over the internet— are you keeping up? You’ve heard that video is popular. You’ve read the stats that say video converts better than anything else. Your clients want to use video. Are you equipped to give them what they want? If your agency is new to video, you might be overwhelmed by the prospect of figuring out how to set a price— let alone sell— video marketing services. 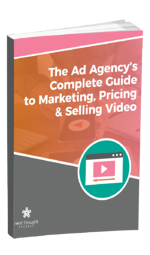 The Ad Agency’s Guide to Pricing and Selling Video Marketing is here to help. Download our free e-book to get the information you need to price and sell your video services today. What will you find in The Ad Agency’s Guide to Pricing and Selling Video Marketing? What goes into setting the price for video marketing? More than you might think. 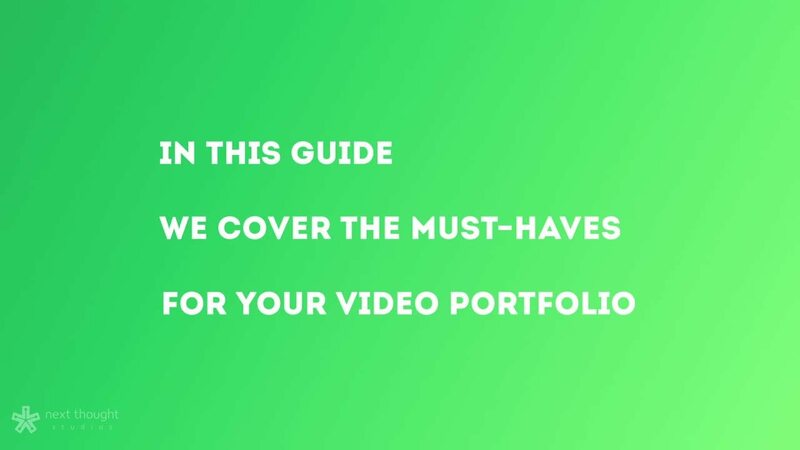 Our guide offers a “big picture” look at pricing videos as well as a more granular breakdown of the hidden costs that sometimes pop up when you create a video for your client. From pre-production to post, there are many different expenses that are associated with creating a high-quality video. This list will help you determine what could arise as you determine the price of your video. If you’ve got a primo video package, but nobody knows about it, what’s the point? You need to know how to put your product in front of your clients. From building a portfolio to networking, we’ve got tips that will help you sell your services successfully. With a Ph.D. in Educational Studies, Educational Leadership and Higher Education, Jae is more than qualified to be Next Thought’s Head of Learning Design & Education. Jae started her career in education as a public school teacher, instructional coach, and elementary principal. During her tenure as a principal, she implemented numerous successful programs that served as a catalyst for student success and promoted family and community engagement. She also spent two years working at the University of Nebraska-Lincoln conducting research and co-teaching classes in the Educational Administration Department. At NextThought, Jae is proud to lead a talented team in creating innovative and successful learning environments that foster high levels of engagement. Jae continues to be a strong advocate for schools and stays active in researching and promoting school, family, and community partnerships in urban, Title 1 Elementary Schools. It’s her belief that education is the pathway that leads to understanding. It awakens who we are; it enables us to realize our greatest dreams and empowers us to change the world. In her free time, Jae enjoys spending time with her family, exercising, learning new things, and watching and attending sporting events. 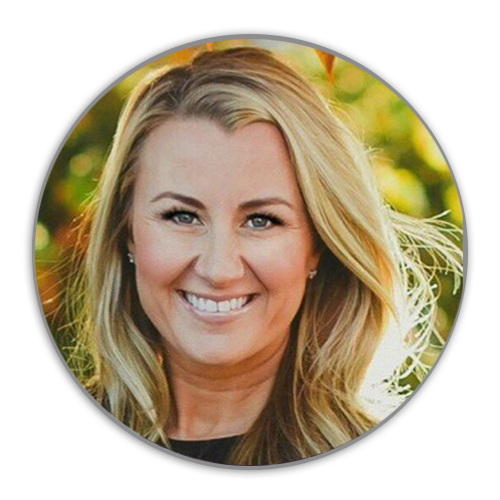 Janelle has produced and project managed thousands of high quality video content ranging from corporate commercials to educational documentaries. She is a Telly and Addy Award winner and won a Student Emmy for her documentary featuring a collaboration from three executive producers of AMC’s The Walking Dead. She produced the 2015 Broadcast Education Association awards show in Las Vegas; designed and edited instructional videos for the Federal Emergency Management Agency; and served as the graduate assistant to the Creative Media department head at the University of Oklahoma while completing her Master’s in Video Producing and Media Management. Janelle currently serves as Head of Video Production at NextThought, where she manages a team of over 12 creative producers, animators, editors, and cinematographers. Leading the team to take on projects of any size, she has guided them to an output of 1,000 videos a year. 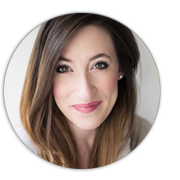 Producing by day and teaching by night, Janelle spends her evenings as an adjunct professor at The University of Oklahoma, teaching her very own video producing course. Janelle is driven to inspire the next generation of Creatives and equip them with the tools needed to be successful producers.